Almost all of us have visited a zoo in our lifetime. Some of the zoos around the world are made to preserve certain species from being extinct, while some are made for the pleasure of humanity. Although not all the zoos around the world are bad, there exists some that makes these innocent creatures lives as miserable as it can be. Jo-Anne McArthur, a photojournalist, author and humane educator, has captured some stunning views of how miserable the lives of animals can be in captivity. Over the course of a decade, McArthur traveled around the globe to capture these stunning images. Jo-Anne McArthur visited zoos and aquariums in more than 20 countries in order to capture these images. 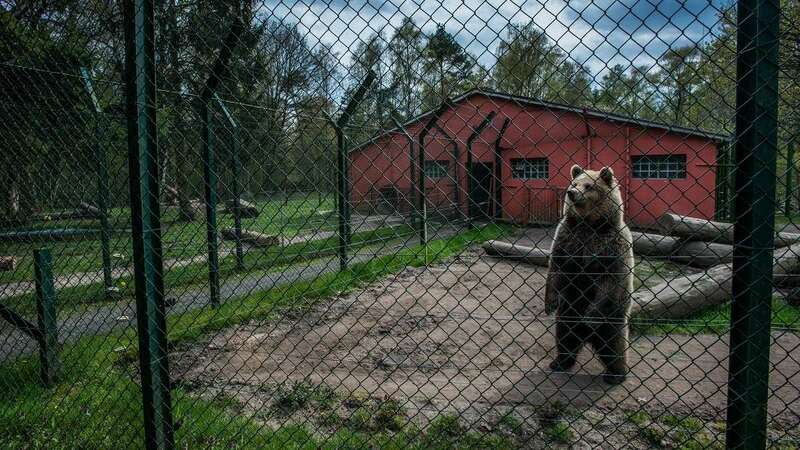 A brown bear at a German zoo. The images were captured for her new book that explores the interaction between humans and animals in captivity. The book Captive, was released on July 26, 2017, and is available on Amazon. 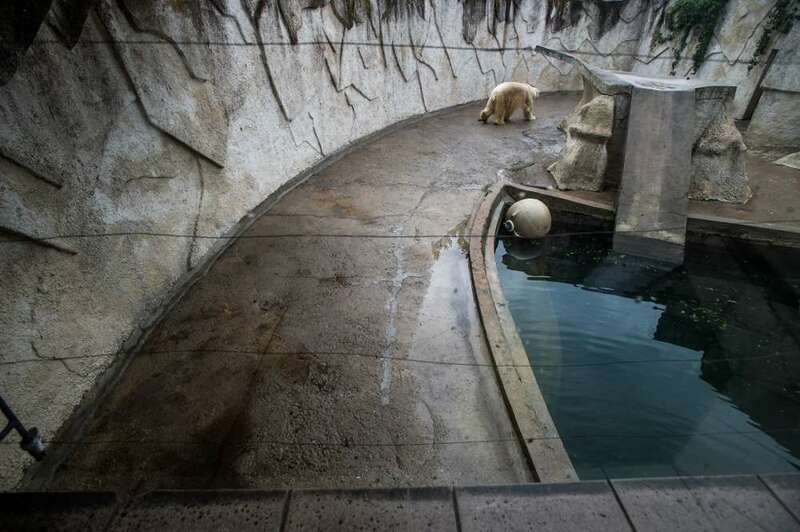 After visiting zoos and aquariums in more than 20 countries, she was able to capture more than 148 images that portray the harrowing life of animals. 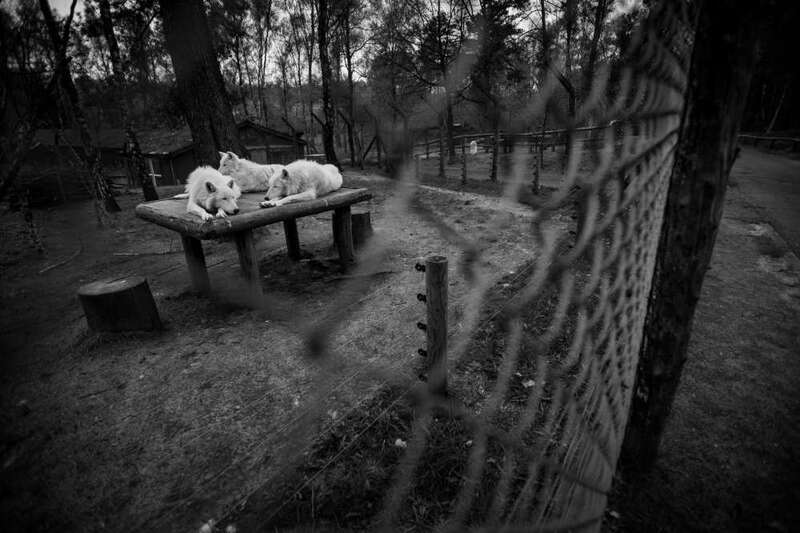 A trio of arctic wolves at a zoo in Germany. The aim of her photographs and the book is to show us how we see, and yet fail to see, the suffering of animals in enclosures. It challenges our perception of these establishments anew, leaving us to see through McArthur’s lens, the relationship between we humans and those animals. 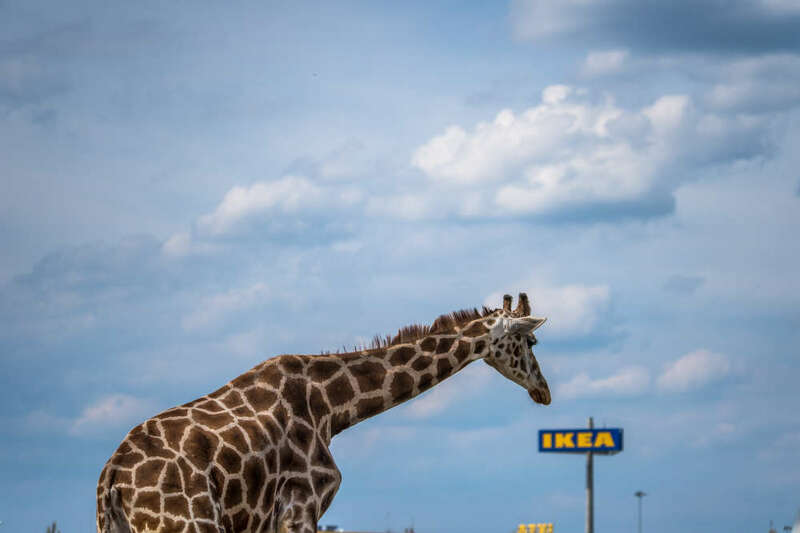 A Rothschild’s giraffe at a German zoo. A jaguar at a French zoo. Every day, she shares an image and story about captive animals around the world through the website. Her efforts to bring light into the matter has been recognized by National Geographic, The Guardian, Elle Canada, DAYS Japan, Helsingin Sanomat and many other media outlets. She is also a recipient of awards and accolades from organizations such as Huffington Post, CBC and numerous animal protection organizations. A polar bear at a Latvian zoo. The Canadian photographer and animal rights activist, does not deny that her new book could be called “one-sided.” The pictures don’t include depictions of handlers bottle-feeding baby hippos or pandas ultrasounds or even their handlers risking lives to clean cages. McArthur says that they are taken from the perspective of the public; an aim to show the animals as “individuals,” as opposed to representatives of their species. 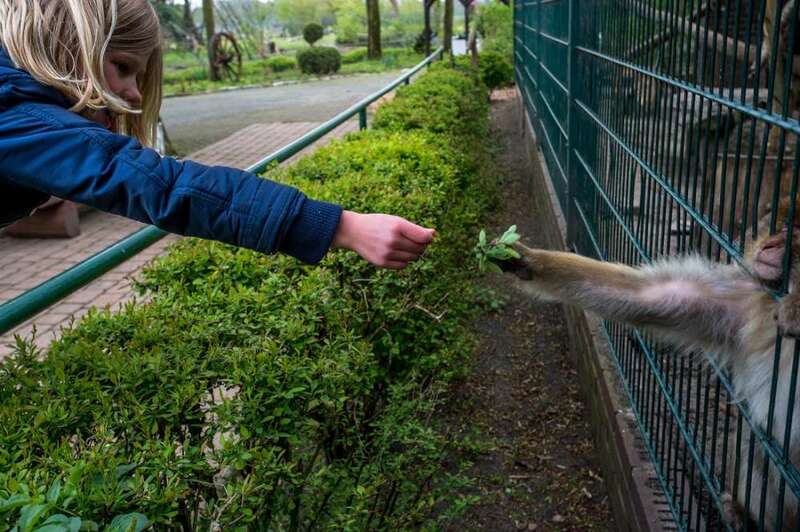 A barbary macaque at a zoo in Germany. 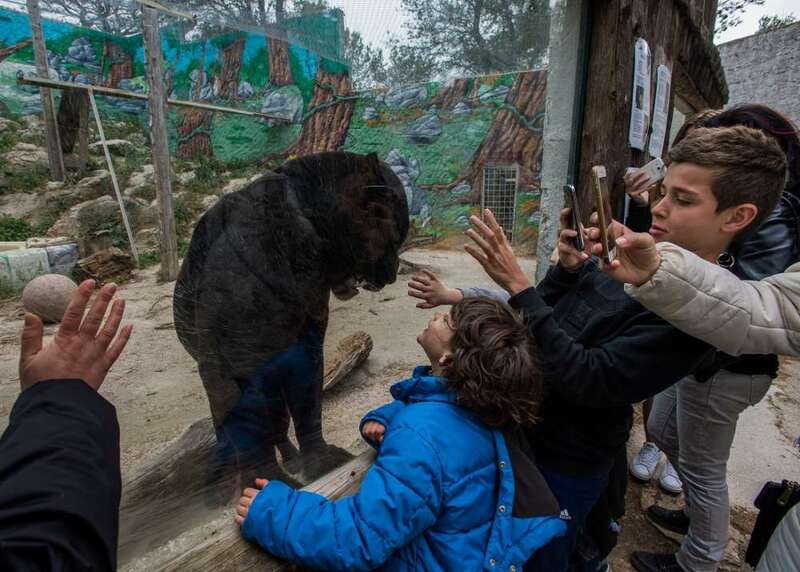 McArthur, who photographed these animals across five continents, does admit that not all zoos are bad and that her images should not be used to compare all of them. While some zoos make the lives of the animals as miserable as they can be, there exists a few that improve the quality of their lives as well as help recover the threatened species. 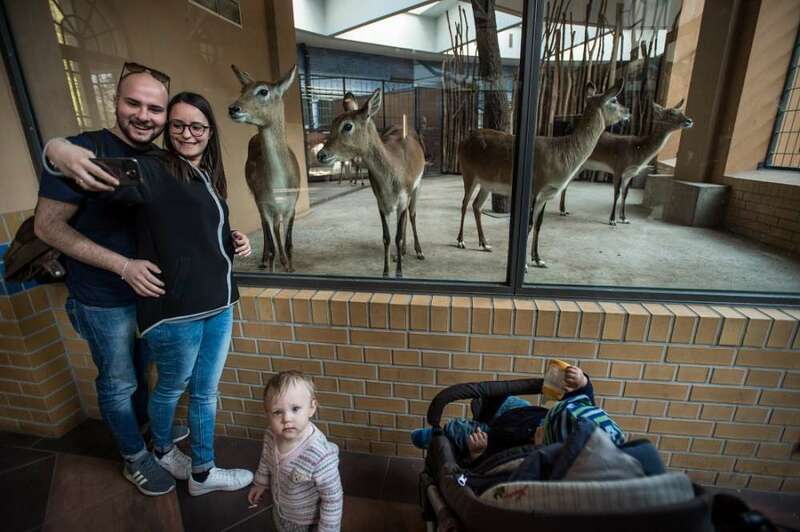 Tourists pose in front of lechwe, an animal that is similar to an antelope, at a German zoo. White tigers at a French zoo. 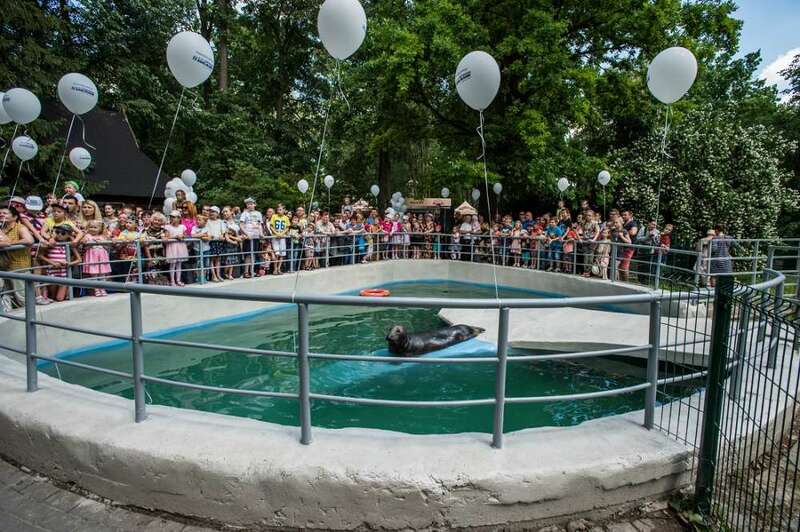 A baltic grey seal at a Lithuanian zoo. 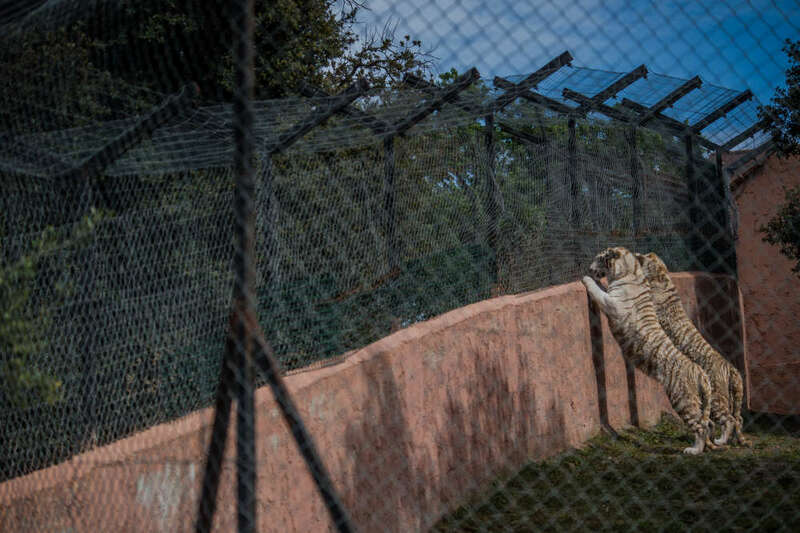 Although some zoos go above and beyond to conserve the lives of species under the threat of extinction, some certainly have questionable methods and standards. Maybe we should research well before visiting a zoo to ensure that the animals are being well-fed and treated properly. Joe-Anne McArthur shared these images with us to highlight the importance of animals and to view them as living beings. She has been the recipient of many awards for her work in the field, including Huffington Post’s ‘Top 10 Women Trying to Change the World’, one of CBC’s ‘Top 50 Champions of Change’, as well as being the recipient of Toronto’s 2013 Compassion for Animals Award. Also read: 10 Extinct Animals Scientists Can Bring Back From The Dead. Pingback: The Clock Is Ticking! 10 U.S. Cities That Could Disappear Over The Next Century.